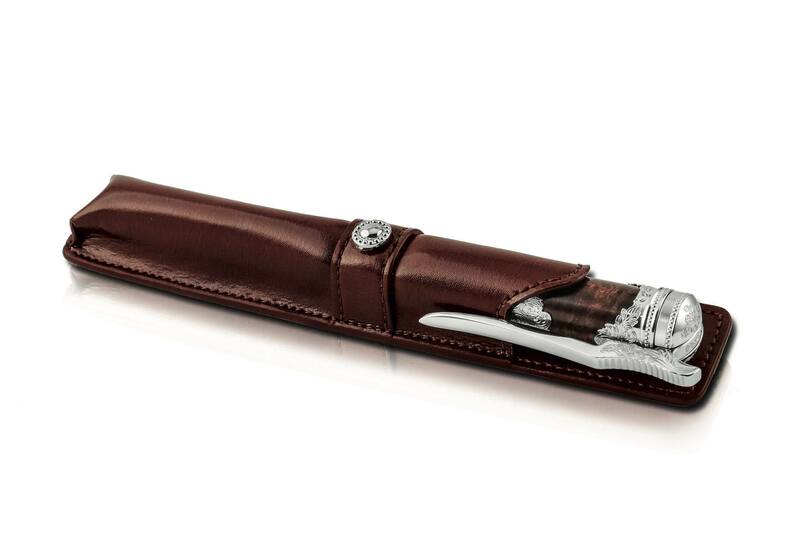 S.T.Dupont’s newest collection will be inspired the American wild west. It’s called Conquest of Wild West, a tribute to the fight between the outlaws of the wild west and the men who stopped them. 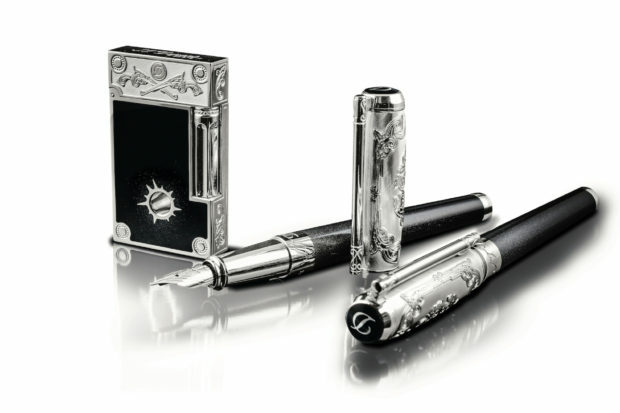 As with most S.T.Dupont collections, there are a plethora of different items from lighters to pens to cufflinks using various materials and craftsmanship resulting in a range of prices from $495 to $28,000…. Two pens are offered, both from S.T.Dupont’s Line D collection. They both use black lacquer with meteorite dust and brass and palladium finishes. Pricing is $1,450 for the ballpoint and $1,750 for the fountain pen…. 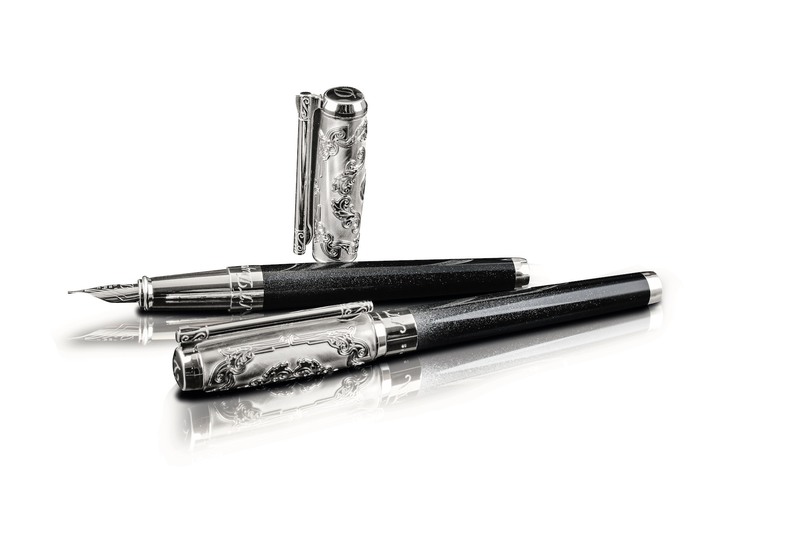 The Prestige Collection fountain pen retails for $4,850 and also comes with a leather case…. 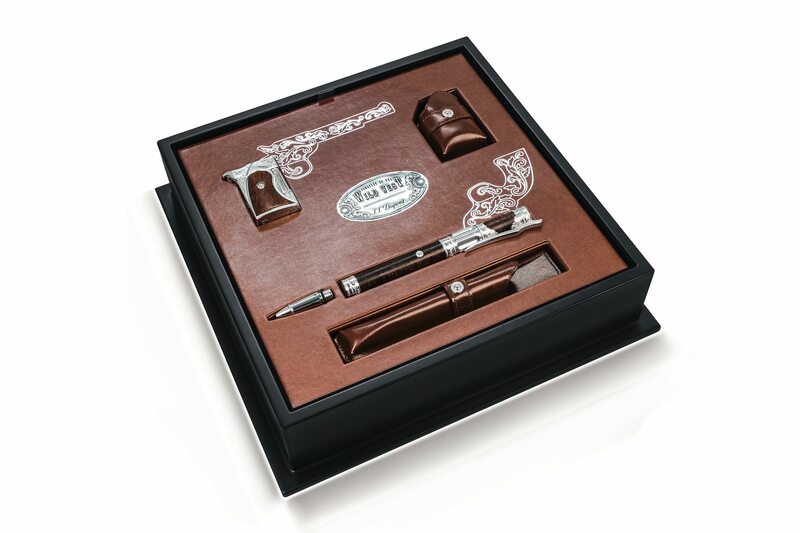 As it has done in the past, there is the Prestige Collectors Kit, which includes both the lighter and pen in a special case. It’s priced at $9,550. Even more limited and more expensive is the Diamond Collection. 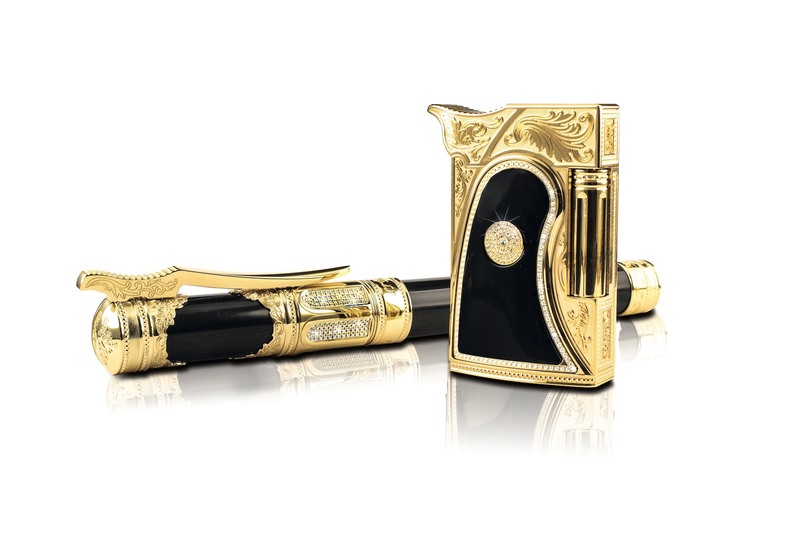 It features a special pen and lighter, made from brass and finished with gold. As the name implies, it also features an unspecified amount of diamonds. Both items are limited to eight pieces and priced at $28,000 each….